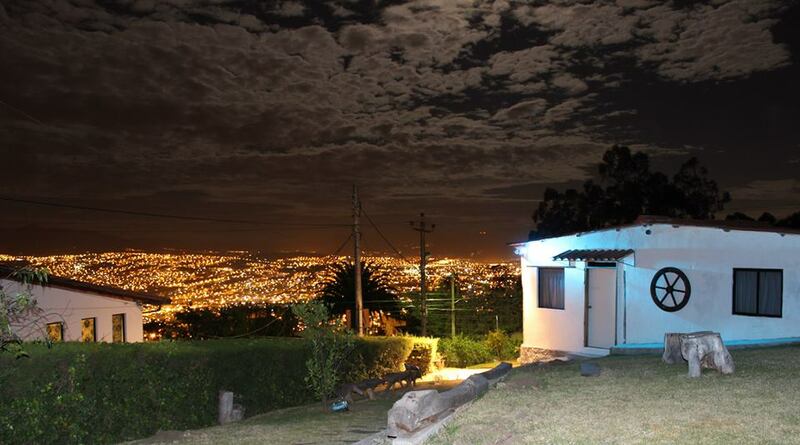 Thinking about going to Quito, Ecuador and need a place to stay? We have the place for you! Inca Link has a guesthouse in Quito called Quinta Casablanca (White House Farm) where we house teams and interns. Just $20 covers room and board each day, and it includes the use of a variety of amenities. These include: green areas, wireless Internet, hot water for showers, breakfast buffet every morning, lunch and dinner, clean and drinkable water, and 24-hour assistance. There are washers and dryers available for a small charge.
. For food, we offer fresh and organic food, juices with low sugar content, and a variety of fruits and traditional dishes that provide the perfect mix between Ecuadorian and international foods. Apart from these great amenities, the best thing about Quinta Casablanca is that it is constantly improving. Last year, the kitchen was renewed. This year, new bathrooms are being installed. Also, there is currently enough housing for 42 people, but it will go up to 46 by the end of the year. The plan for the future is for the house to have a cafeteria, a gift shop, a gym, a barbecue area, and more. Two incredible hosts run Quinta Casablanca. Fabian and Mabe are a married couple with the gift of hospitality. They are the ones who prepare for your stay by, first, confirming the dates and how many people are coming. Then, they go over your needs: if you just need to sleep, if you only want breakfast, if it is a meeting, training, an event, or a mission’s team. After going over your needs, they go over the facilities and logistics. This includes general house cleaning, preparing the beds (bunk beds! ), shopping and reviewing any extra details such as transportation and special needs. The ultimate goal is to find the best way to serve you and allow you to have the best experience possible here in Ecuador. In Quinta Casablanca, you are in good hands. Let us meet your housing needs. We maintain a friendly atmosphere so you feel at home away from home in one of the most beautiful cities in the world. We look forward to having you!